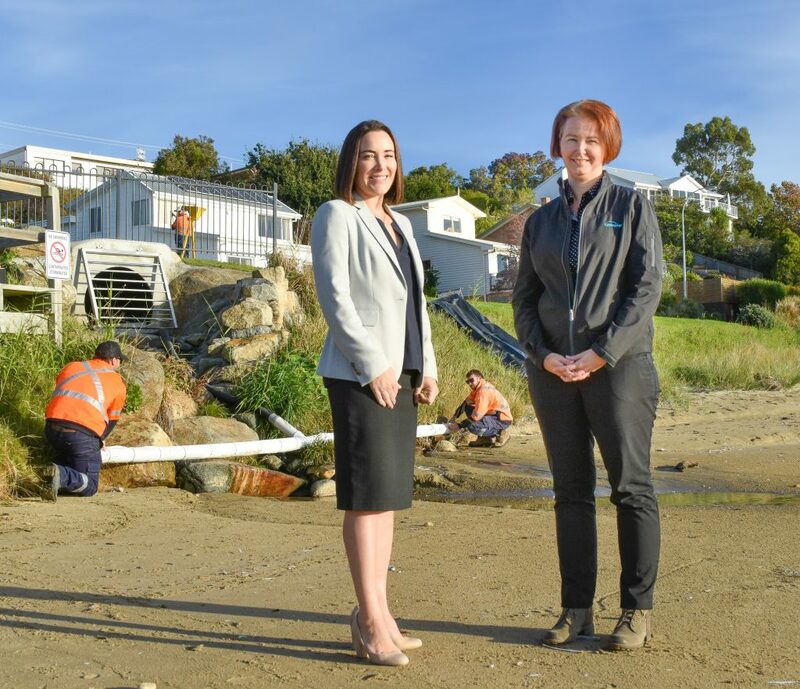 Council has installed a temporary system to disperse the fresh water flowing out of the Illawarra Road stormwater outfall pipe at Blackmans Bay Beach. The system will be trialled over an eight-week period to see if it will prevent the fresh water from pooling on the beach. A list of feasible solutions to address other potential causes of contamination is currently being finalised by the TasWater and Kingborough Council working group. Recommendations will be presented to Council for consideration in early April. Council also continues to investigate causes behind the source of contaminants in both the Kingston and Blackmans Bay stormwater catchments and are sampling key stormwater nodes within each catchment area.